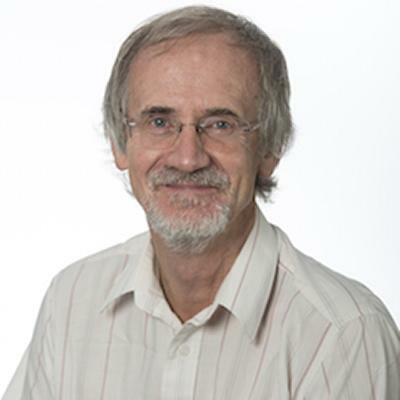 Professor Con Connell is Professor of Management within Southampton Business School at the University of Southampton. Head of Department of Accounting and Management Sciences 1991-1994. Professional and commercial experience in information systems (IS) and general management in the public and private sector. Consulting, research and teaching experience over a wide range of management topics, particular with reference to healthcare systems. Responsible for the development and delivery of outdoor-based management development programmes. Editorial Board Member, Knowledge Management Research and Practice & International Journal of Enterprise Information Systems. I have supervised a number of candidates to successful completion, with two students under my supervision at the present time. I welcome enquiries from prospective students, who are advised in the first instance to look at the appropriate section of the Information Systems Research page. Learning Communities Initiative, funded by the Health Foundation. Meyer, E., Connell, C., & Humphris, D. (2006). Leadership development: applying new learning in an organisational context. British Journal of Leadership in Public Services, 2(2), 21-33. Connell, N. A. D., Goddard, A., Philp, I., & Bray, J. (1998). Patient centred performance monitoring systems and multi-agency care provision: a case study using stakeholder participative approach. Health Services Management Research, 11(2), 92-102. Powell, P. L., Klein, J. H., & Connell, N. A. D. (1995). Organisational experts - the social context of expertise. Investigacao Operacional, 15, 171-186. Connell, N. A. D., & Powell, P. L. (1990). A comparison of potential applications of expert systems and decision support systems. Journal of the Operational Research Society, 41(5), 431-439. Connell, N. A. D. (1988). The current impact of expert systems on the accountng profession and some reasons for hesitancy in the adoption of such systems. The Knowledge Engineering Review, 2(3). Connell, N. A. D. (1987). Expert systems: a review of some recent accounting applications. Accounting and Business Research, 17(67), 221-233. Connell, C., Powell, P., & Sutcliffe, C. (1997). Developing decision support systems for health care management. London, UK: CIMA. Edwards, A., & Connell, N. A. D. (1989). Expert systems in accounting. (Research Studies in Accounting Series). London, UK: Prentice Hall. Klein, J. H., & Connell, C. (2008). The identification and cultivation of appropriate communities of practice in higher education. In C. Kimble, P. Hildreth, & I. Bourdon (Eds. ), Communities of Practice: Creating Learning Environments for Educators Charlott, USA: Information Age Publishing. Connell, N. (2007). Organisational storytelling as a knowledge management medium. In M. E. Jennex (Ed. ), Knowledge Management: Concepts, Methodologies, Tools and Applications (6 volumes) (pp. 171-178). Hershey, USA: Information Science Reference. Jasimuddin, S. M., Connell, C., & Klein, J. H. (2006). Understanding organisational memory. In D. Schwartz (Ed. ), Encyclopedia of Knowledge Management Hershey, USA: Idea Group Publishing. Meyer, E., Connell, N. A. D., & Klein, J. H. (2005). A narrative approach to knowledge exchange: an empirical investigation in two contrasting settings. In G. Schreyogg, & J. Koch (Eds. ), Knowledge Management and Narratives: Organizational Effectiveness Through Storytelling Berlin: Erich Schmidt. Connell, N. A. D. (2005). Organisational storytelling. In D. Schwartz (Ed. ), Encyclopaedia of Knowledge Management Pennsylvania: IDEA GROUP. Connell, N. A. D., Lees, P., Powell, P. L., & Sutcliffe, C. M. S. (1996). Costing and contacting in the NHS - A decision to support approach. In M. Bourn, & C. Sutcliffe (Eds. ), Management Accounting in Healthcare London, GB: Chartered Institute of Management Accountants. Connell, N. A. D., Klein, J. H., & Powell, P. L. (1996). Looking for support in decision support systems: A safe anchorage in the troubled seas of management, or just any support in a storm. In D. Johnson, & F. O'Brien (Eds. ), OR38 Keynote Papers 1996 (pp. 14-27). Warwick, GB: Warwick Business School. Connell, N. A. D., Goddard, A., Philp, I., & Bray, J. (1996). Using a stakeholder participation approach (SPA) to develop a service information system for a community unit in the NHS. In M. Bourn, & C. Sutcliffe (Eds. ), Management Accounting in Health Care London: CIMA. Connell, N. A. D., & Goddard, A. (1994). Managing information for a better service. In I. Philp, & S. Ebrahim (Eds. ), Assessing Elderly People in Hospital and Community Care London, GB: Farrand. Connell, N. A. D., & Powell, P. L. (1992). A comparison of potential applications of expert systems and decision support systems. In G. I. Doukidis, & R. J. Paul (Eds. ), Artificial Intelligence in Operational Research (pp. 339-348). Basingstoke, GB: Palgrave Macmillan. Connell, N. A. D., & Powell, P. L. (1992). Measuring success and failure in the commercial application of expert systems: hard measures for soft systems? In G. I. Doukidis, & R. J. Paul (Eds. ), Artificial Intelligence in Operational Research (pp. 349-356). Basingstoke, GB: Palgrave Macmillan. Klein, J. H., Powell, P. L., & Connell, N. A. D. (1992). Organisational design: an approach incorporating expert systems. In G. I. Doukidis, & R. J. Paul (Eds. ), Artificial Intelligence in Operational Research (pp. 339-348). Basingstoke, GB: Palgrave Macmillan. Connell, N. A. D., Powell, P. L., & Holt, J. (1992). The practical use of decision support and expert systems in the accounting profession: a comparison of two empirical studies. In D. E. O'Leary, & P. R. Watkins (Eds. ), Expert Systems in Finance (pp. 127-162). (Studies in Management Science and Systems). Amsterdam, Holland: North-Holland,. Connell, N. A. D. (1991). Artificial intelligence and accounting. In B. C. Williams, & B. J. Spaul (Eds. ), IT and Accounting: the Impact of Information Technology (pp. 401-415). (Chapman and Hall Series in Accounting and Finance). London, GB: Chapman and Hall. Connell, N. A. D., Klein, J. H., & Powell, P. L. (2009). All singing from the same spreadsheet: the role of company songs as mechanisms for knowledge sharing. Paper presented at IADIS International Conference Information Systems 2009, Spain. Brailsford, S. C., Bolt, T., Klein, J. H., Connell, N. A. D., & Patel, B. (2009). Stakeholder engagement in health care simulation. Paper presented at Winter Simulation Conference 2009, United States. Connell, N. A. (2006). "Hearing voices": stakeholders and modelling processes. Paper presented at Healthcare Modelling for Workforce Planning, . Jasimuddin, S., Connell, N. A. D., & Klein, J. H. (2005). Knowledge intensive firms and other service providing firms. In Current Topics in Management New Jersey, US: Transaction Publishers. Connell, N. A. D. (2005). Trust relations in healthcare: What lessons might be learnt from other organisational settings?. Paper presented at MRC HSRC Workshop on Researching Trust Relations in Health Care: Conceptual and Methodological Challenges for Health Services Research, . Jasimuddin, S., Connell, N. A. D., & Klein, J. H. (2004). Mechanisms of knowledge transfer: what strategy promises to be the most appropriate in the new knowledge economy. Paper presented at The International Conference on 'Shifting Boundaries: Governance, Competence and Economic Organisation in the Knowledge Economy' 2004, . Jasimuddin, S., Connell, N. A. D., & Klein, J. H. (2004). The challenges of navigating a topic to a prospective researcher. Paper presented at British Academy of Management Conference 2004 (Research Methodology Stream), . Jasimuddin, S., Connell, N. A. D., & Klein, J. H. (2004). The paradox of using tacit and explicit knowledge: strategies to face dilemmas. Paper presented at 6th International Conference on the Dynamics of Strategy, . Connell, C., Klein, J. H., & Meyer, E. (2003). "Are you sitting comfortably? Then I'll begin (...to transfer some knowledge?)" Narrative approaches to the transfer and interpretation of organisational knowledge. 152-163. Paper presented at The Knowledge Management Aston Conference 2003, . Connell, N. A. D., Klein, J. H., & Meyer, E. (2003). Knowledge exchange within small teams: some preliminary empirical findings from two contrasting environments. 272-281. Paper presented at Knowledge Management Aston Conference (KMAC2003), . Connell, N. A. D., Klein, J. H., & Meyer, E. (2003). Narrative, knowledge and communities of practice: "making sense" of stories. Paper presented at European Institute for Advanced Studies in Management Workshop on Narration and Knowledge Management, . Connell, N. A. D. C., Meyer, E., & Klein, J. H. (2003). Narrative, knowledge and communities of practice: what sort of stories do practitioners listen to, and tell?. 1-8. Paper presented at British Academy of Management Conference, . Klein, J. H., Connell, C., & Meyer, E. (2003). Operational research practice as storytelling: Telling it like it could be?. 348-355. Paper presented at Proceedings of the Knowledge Management Aston Conference 2003, . Meyer, E., Connell, N. A. D., & Klein, J. H. (2003). Sharing notes: a knowledge management perspective of musical skills workshops. Paper presented at The Knowledge Management Aston Conference, United Kingdom. Klein, J. H., Connell, C., & Meyer, E. (2003). Sharing notes: amateur musical events from a knowledge management perspective. 338-347. Paper presented at Knowledge Management Aston Conference 2003, . Ashleigh, M., Connell, N. A. D., & Klein, J. H. (2003). Trust and knowledge transfer: an explanatory framework for identifying relationships within communities of practice. Paper presented at European Institute for Advanced Studies in Management (EIASM) 2nd Workshop on Trust Within and Between Organisations, . Connell, N. A. D., Klein, J. H., & Meyer, E. (2002). Narrative as an interpretive IS research approach: some promising indications for knowledge management. In A. Bhattacharjee, & R. Paul (Eds. ), Proceedings of the First International Workshop on "Interpretive" Approaches to Information Systems and Computing Research: Inaugural Meeting of a Special Interest Group on "Interpretive" Approaches and Methods (SIG-IAM) (pp. 15-18). Bristol, GB: Brunel University. Meyer, E., Connell, N. A. D., & Klein, J. H. (2002). Narrative as an interpretive research approach in IS: some promising indications for knowledge management. Paper presented at First International Workshop on Interpretive Approaches to Information Systems and Computing Research: Inaugural Meeting of a Special Interest Group on Interpretive Approaches and Methods (SIG-IAM), United Kingdom. Meyer, E., Connell, N. A. D., & Klein, J. H. (2002). Towards a constructivist model of knowledge management. Paper presented at 16th Triennial Conference of the International Federation of Operational Research Societies, . Connell, N. A. D., Klein, J. H., & Powell, P. L. (2001). Breadth, depth and layering of expertise in knowledge-based systems. Paper presented at Operational Research Society Annual Conference (OR43), . Ellis, B., Connell, N. A. D., & Bryant, A. (1997). The changing role of physiotherapy assistants: a comparative study in the NHS executive South and West. Paper presented at Health Care Development Group Annual Conference, . Connell, N. A. D., Klein, J. H., & Powell, P. L. (1996). Modelling expert consultation systems. Paper presented at 14th Triennial Conference of the International Federation of Operational Research Societies, . Powell, P., Connell, N. A. D., Lees, P., & Sutcliffe, C. M. S. (1995). Picking your brains: a DSS for neurosurgery. In Proceedings of the 6th Meeting of EURO Working Group on DSS (pp. 77-102). Ermoupolis, Greece: University of the Aegean. Connell, N. A. D., Philip, I., Goddard, A., & Bray, J. (1994). A participative approach to the development of a management information system for community services. Paper presented at 12th International Congress of the European Federation for Medical Informatics, . Basodan, Y., & Connell, N. A. D. (1994). The effect of experience on audit decision making processes and decision quality: an empirical study. Paper presented at British Accounting Association National Conference, United Kingdom. Connell, N. A. D., Klein, J. H., Lees, P., Powell, P., & Sutcliffe, C. M. S. (1993). Costing and contrasting in the NHS - a decision support approach. Paper presented at CIMA Management Accounting in Health Care Conference, . Powell, P. L., Klein, J. H., & Connell, N. A. D. (1993). Experts and expertise: the social context of expertise. In M. R. Tanniru (Ed. ), Proceedings of the 1993 ACM SIGCPR Conference (pp. 362-368). New York: ACM. Philip, I., Connell, N. A. D., Goddard, A., & Bray, J. (1993). Redefining rehabilitation services for elderly people. Paper presented at British Society of Gerontology Annual Conference, . Connell, N. A. D., Goddard, A., Philip, I., & Bray, J. (1993). Using a stakeholder participation approach (SPA) to develop a service information system for a community unit in the NHS. Paper presented at CIMA Management Accounting in Health Care Conference, United Kingdom. Connell, N. A. D., Powell, P. L., & Klein, J. H. (1989). Expert systems and organisational change. Paper presented at 33rd Annual meeting of the International Society for the Systems Sciences, . Connell, N. A. D. (1989). What's so special about expert system development? A comparison of the development methodologies of expert systems and those of traditional computer systems. 139-145. Paper presented at 33rd Annual meeting of the International Society for the Systems Sciences, . Connell, N. A. D., & Powell, P. L. (1988). An investigation into the practical use of Decision Support and Expert Systems in the UK accounting profession. Paper presented at 11th Congress of the European Accounting Association, . Connell, N. A. D., & Powell, P. L. (1988). Decision support systems and expert systems: the role of the user as a system builder. Paper presented at Decision Sciences Institute Annual Meeting, United States. Klein, J. H., Powell, P. L., & Connell, N. A. D. (1988). Organisational structure: the implications of expert systems. Paper presented at Human and Organisational Issues of Expert Systems. Conference Organised by the Ergonomics Society and ICL University Research Council, . Connell, N. A. D. (1988). Why bigger isn't always better: some disquieting differences in the implementation of small and large expert systems. In M. G. Singh, K. S. Hindi, & D. Salassa (Eds. ), Managerial Decision Support Systems: Proceedings of the First IMACS-IFORS International Colloquium, Manchester, UK, 23-25 Nov, 1987 Amsterdam, Holland: North-Holland,. Connell, N. A. D. (1987). Current developments in expert systems for accountants. Paper presented at British Accounting Association Annual Conference, . Connell, N. A. D. (1987). Expert Systems: a review of some recent applications. Paper presented at 10th Congress of the European Accounting Association, . Connell, N. A. D., & Powell, P. L. (1987). Success and Failure in the commercial application of expert systems. Paper presented at Operational Reseach Society Annual Conference, . Connell, N. A. D. (1986). Expert systems in accountancy: A review of current applications. Paper presented at Northern Accounitng Group Annual Conference, United Kingdom. Connell, N. (1970). Expert systems: where are the business applications?. Paper presented at 28th Annual Conference of the Operational Research Society, . Connell, N. A. D. (1970). How successful are successful expert systems?. Paper presented at Operational Research Society conference on Successful Applications of Expert Systems, . Gabbay, J., le May, A., Connell, C., & Klein, J. H. (2014). Skilled for improvement? Learning communities and the skills needed to improve care: an evaluative service development. London, GB: The Health Foundation. Humphris, D., Connell, N. A., Meyer, E., Lees, A., & Health Care Innovation Unit (2006). Hotspots critical care evaluation. Southampton, GB: University of Southampton. Ellis, B., Connell, N. A. D., & Bryant, A. (1997). A follow up study to investigate the role, job satisfaction and educational requirements of physiotherapy assistants. Edinburgh: The Chartered Society of Physiotherapy. Goddard, A., Connell, N., Phillip, I., & Bray, J. (1996). Stakeholder participation approach (SPA) and resource management information system design - an action research case study. (Discussion Papers in Accounting and Management Science; No. 97-137). Southampton, UK: University of Southampton. Goddard, A., Connell, N., Phillip, I., & Bray, J. (1994). Stakeholder participation approach (SPA) and information system development - an action research case study. (Discussion Papers in Accounting and Management Science; No. 94-83). Southampton, UK: University of Southampton. Powell, P., Klein, J., & Connell, N. (1993). The social context of experts and expertise. (Discussion Papers in Accounting and Management Science; No. 93-70). Southampton, GB: University of Southampton.